mon-sun: nike air max 1 HOA. adidas zx flux. vans authentic. nike AJKO. nike air pegasus '89. 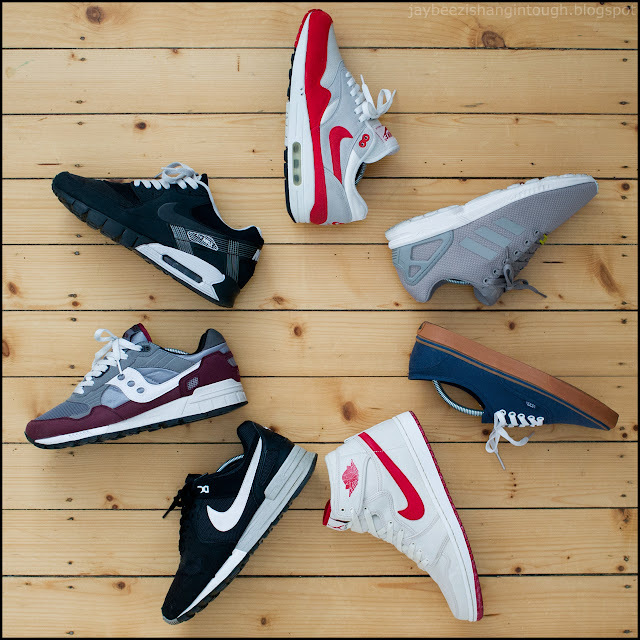 saucony shadow 5000. nike air max 90 current huarache.